A witty advice book on relationships, life, and dealing with the rocky road. We all know that girls love boys who love girls, and then they turn into women who love men who love women. And no matter how much one would like to clutter their life with work or distract themselves with friends or treks or travels, at the end of the day it is the matters of the heart that take control of our deeper senses. This is a book about growing up, of learning and un-learning, losing and receiving, crying and smiling, but most of all—loving. 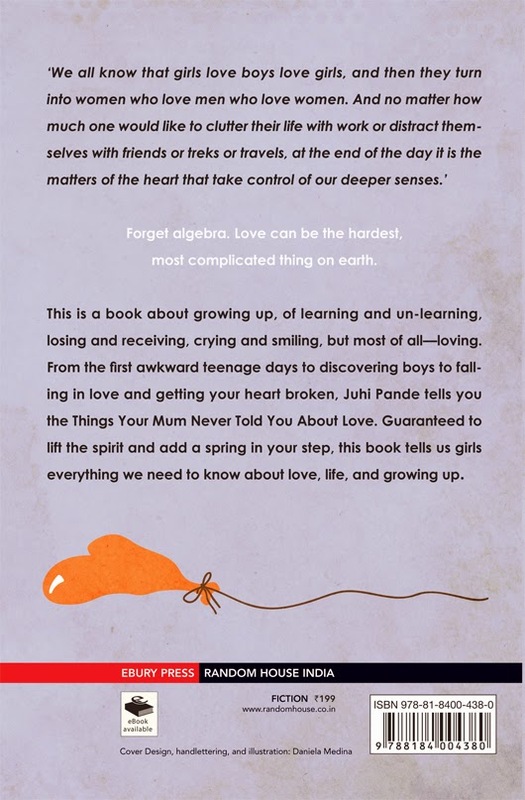 From the first awkward teenage days to discovering boys to falling in love and getting your heart broken, Juhi Pande tells you the Things Your Mother Never Told You about Love. Guaranteed to lift the spirit and add a spring in your step, this book tells us everything us girls need to know to get us through the rough seas. Forget algebra. Love can be the hardest, most complicated thing on earth. The biggest reason for choosing this book for review was its quirky name. It tempted me as it seemed to be the most unheard of all things and yet the most wanted to hear thing. In this book the author, Juhi Pande has talked about the most obvious things in life and most of the time the most neglected as well – relationships. We, having lived in Indian society are so used to not discussing things like love and relationships openly with parents. And perhaps that is where the author drew inspiration for the title. She has dealt with the subject so beautifully and without sounding preachy. That is exactly where the beauty of this book lies. The simplicity and easy-to-understand language used connects a reader more to this book. I loved reading it for it felt as if a girl friend of mine was having a conversation with me, sharing her experiences. Never for once did I feel that it is getting a bit too preachy and boring. It was heart to heart. I believe this is how self help books should be actually as you are supposed to help someone and not bombard with your sense of knowledge. Simplicity is the key and the author works on it perfectly. Some points made me smile, some made me laugh crazily while some made my eyes moist as I thought of those times when I done those mistakes. An excellent book, for all those people like me who wear their hearts on their sleeves all the while. P.S: I am gifting this book to my sisters as I am sure they need it more than I do right now!!! 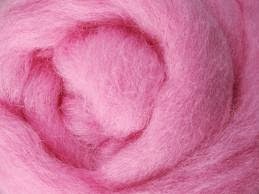 This book is like candy floss - Fluffy, light, delicious, sweet and ofcourse fun! Oh you should, she will surely love it!